Chocolate cream pie dip is a delicious dip made with chocolate pudding and cream with pie dippers. STOP what you’re doing right now because you’re going to want to make this Chocolate Cream Pie Dip ASAP. It only has 3 ingredients! Bonus points if you serve it with pie crust dippers. This weekend, Mel will be parked on the couch watching all the games again and I’m going to make football food and pretend we’re at a party so I can eat it all. Sound good? You should do it too! Let’s eat ALL THE FOOD together!! 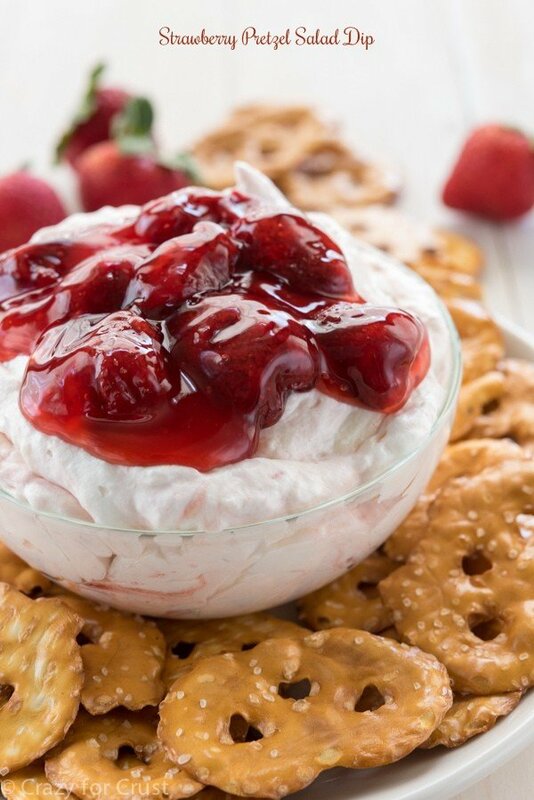 This dip could not be easier to make, and it’s the perfect party dessert. Much like my Oreo Fluff a few weeks ago, it only has a few ingredients and comes together super fast. What are those ingredients? Well, I’m glad you asked. For this chocolate cream pie dip all you need to make this dip: pudding mix, milk, and whipped topping. THAT’S IT!! It’s amazing, right? 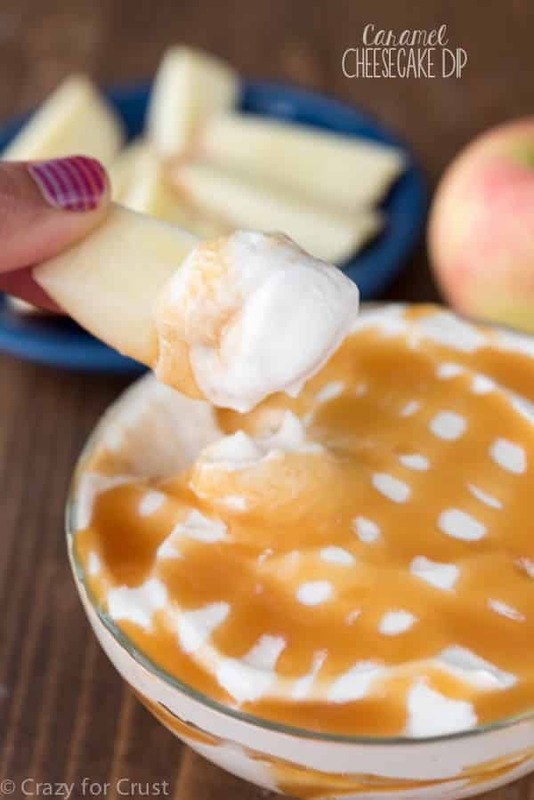 AND, if you’re going sugar-free, you can make this a totally sugar-free dip by using pudding mix and whipped topping that are sugar-free. Although, I have to say, the dip is not my favorite part of this recipe. The DIPPERS are!! 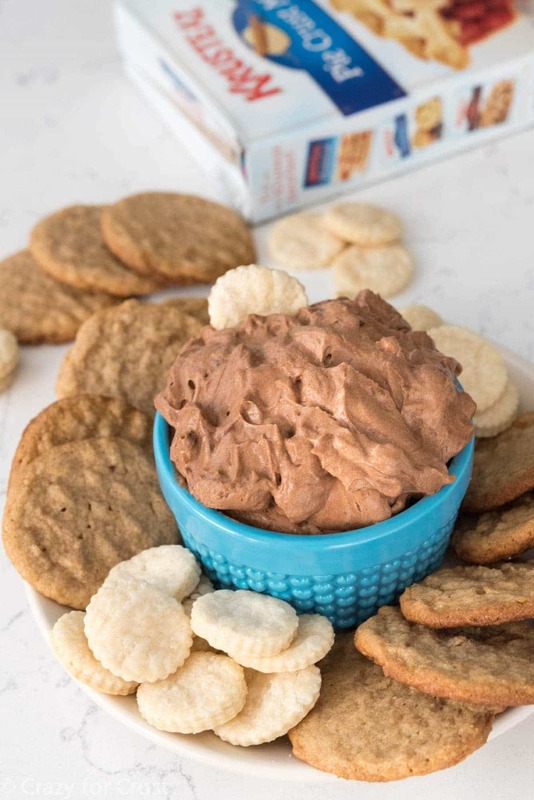 While you can dip almost anything in this chocolate cream pie dip (including a spoon, I won’t judge), my favorite things to make eat it with are pie crust dippers. I first made dippers back years ago with a cake batter dip. Now I make them all the time for all sorts of sweet dip recipes. And I like making them almost from scratch using Krusteaz Pie Crust Mix! Have you tried it yet? You guys, so good and easy. Just add water, seriously. All you need is water and a fork and you get a fabulous flaky pie crust. If you don’t think you can make pie crust from scratch, you can handle the Krusteaz mix. PINKY SWEAR. And, I made some Krusteaz Peanut Butter Cookies to go along with them. Any of their fabulous cookie flavors would do, but the peanut butter cookie with the chocolate dip? Priceless. Now if only Mel’s teams win this weekend, that would make it even better! Get the Chocolate Cream Pie Dip recipe here over on Krusteaz! 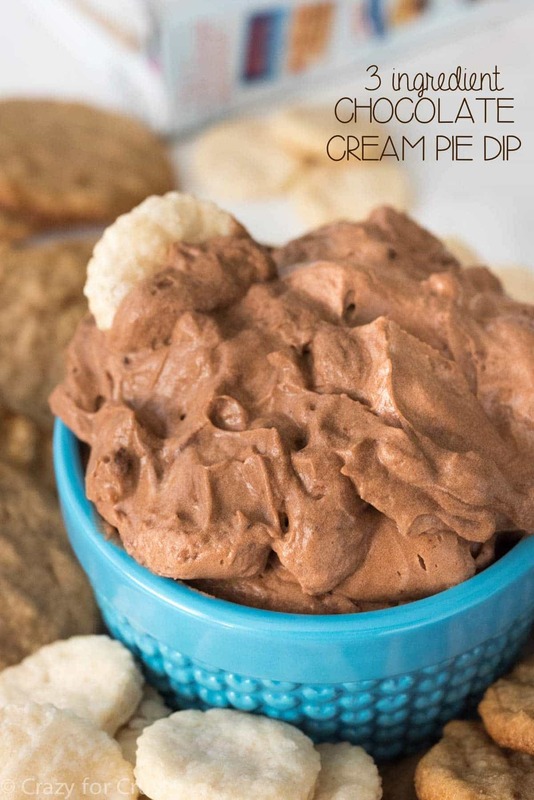 This EASY Chocolate Cream Pie Dip has only 3 ingredients! 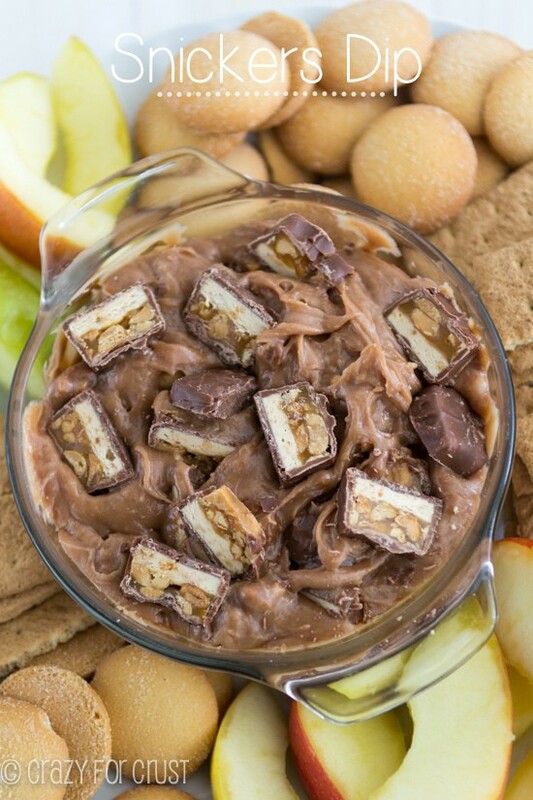 Get the rest of the recipe for the Chocolate Cream Pie Dip and Dippers HERE. This post has been sponsored by Krusteaz. I’m part of their Bakers Dozen, and I love their products! All opinions are 100% my own. This dip looks so indulgent and deliciously rich! I love dips because you can just keep going back for more!! Love those pie crust dippers Dorthy!!! I love your dips, we make a couple of theme each month. Great to know!! They’re so easy and good. Chocolate cream pie is up there with my all-time favorite pies, so of course now I’m craving this dip really badly! 🙂 Plus it reminds me a little of Dunkeroos, which was everyone’s favorite dip treat when I was a kid. This looks great! Your team lost in the last seconds of the game? We must have been rooting for the same team (#notafanoftheseahawks). This dip looks soooo good! I had better stay away from it til I develop more willpower. I am so glad they lost and are OUT, lol!! You are too a genius. Own it! This dip is the way to do football, especially since my team’s out. I’ll just eat my sorrows!